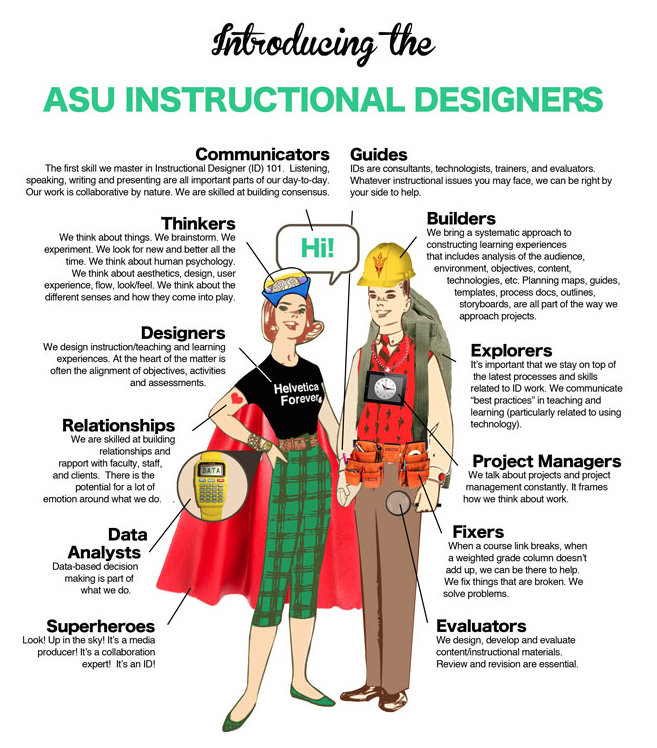 “4C” means “four components”, while “ID” means “Instructional Design.” During the design phase the tasks to be learned are ordered sequentially according to task difficulty and then scaffolds are added that support the learner’s in their quest to gain new knowledge and skills. The learning methods consists of complex problem solving coupled with completing procedures that match authentic set of tasks. 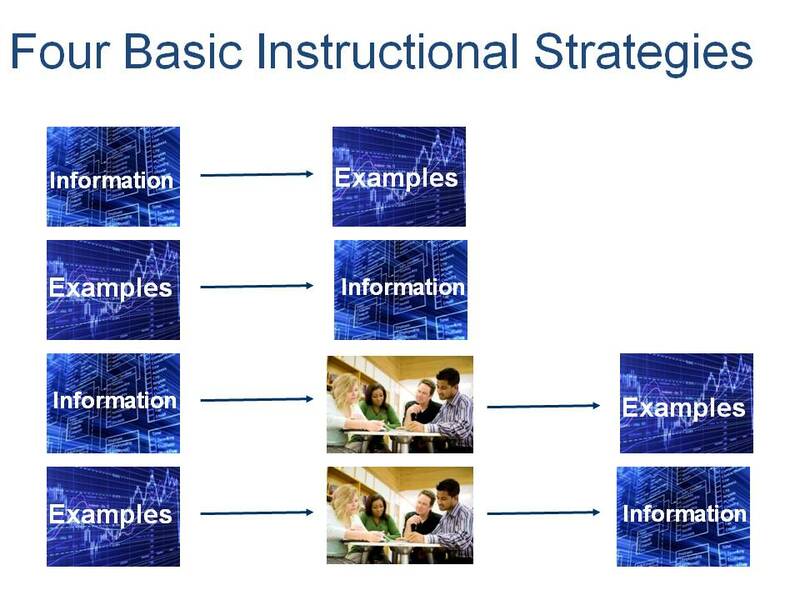 When it comes to delivery or implementation, the tasks are practiced and performed by the learners in real or simulated environments, while the level of support diminishes as the learner progresses. Task complexity also increases within each level as the learners progress; however, each level of complexity adds additional supportive information. This learning platform allows the learners to navigate the increasingly complex learning environment by being supported by just-in-time external support; in addition to the learners own increasing skill-set. A deductive approach works by presenting the general information, followed by examples. 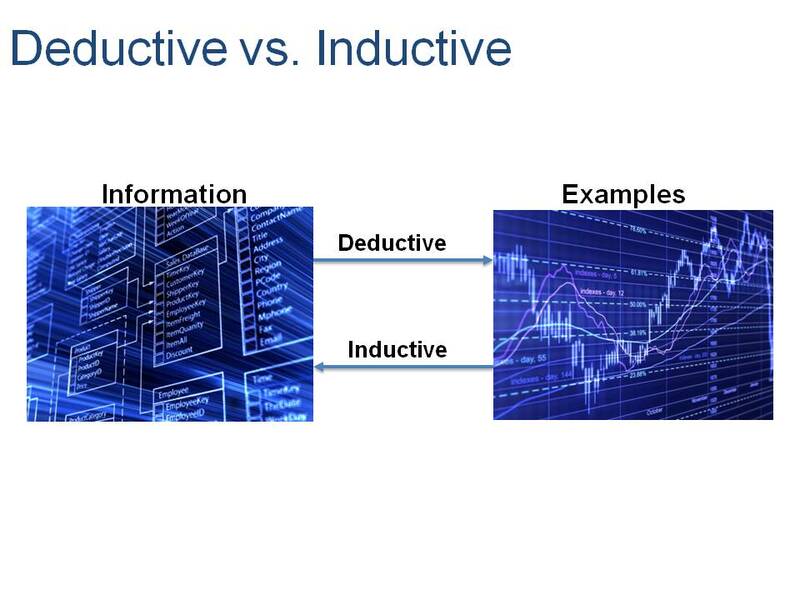 An inductive approach works in the opposite direction by first presenting the examples to the learners, and then giving them the general information. information first and then the examples. examples first and then the information. information and then have the learners find or produce examples. examples and then have the learners find or produce the information. 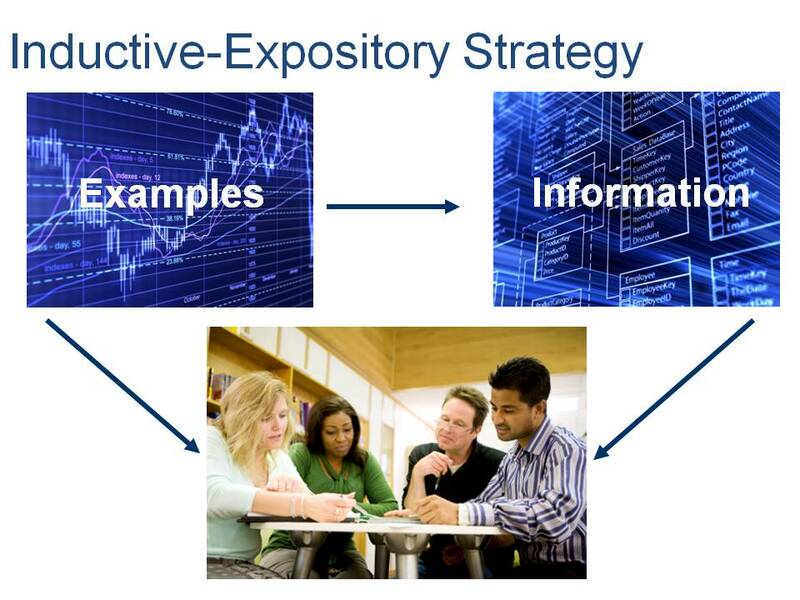 A deductive-expository strategy works by first presenting information and then the examples. 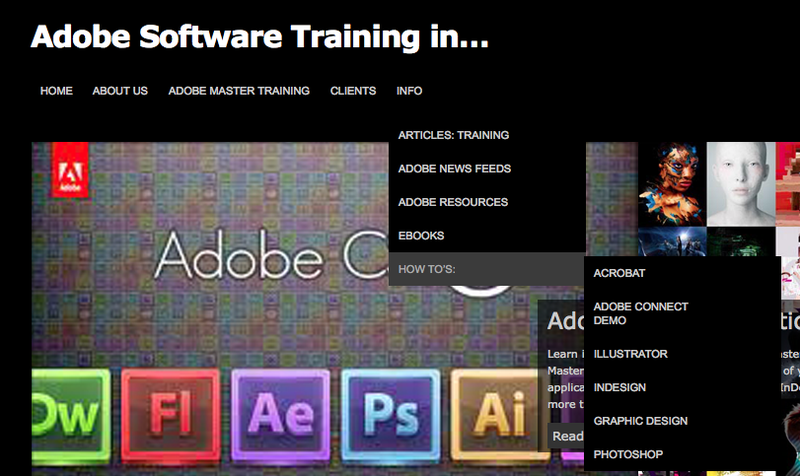 Thus, all the content is presented to the learners. For example, you present the information and then a case study that illustrates the information. It is normally the most time and cost effective of the four methods. It is best used if they have some experiences with concrete examples or cases that enable them to understand the general information and a deep level of understanding is not required. It works for simple declarative knowledge, such as facts and simple concepts and models. 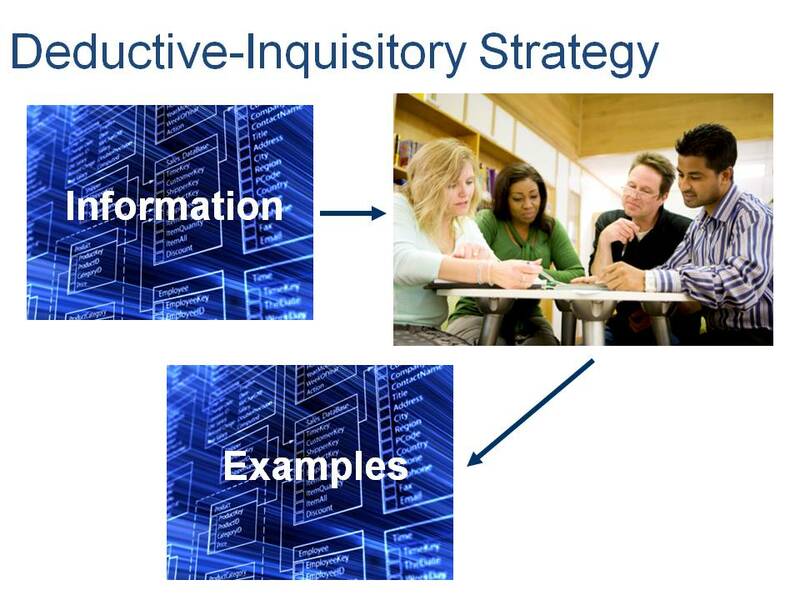 The inductive-inquisitory strategy works by presenting examples and then the learners produce the information. Thus, rather than just receiving the content, they now receive and produce. For example, you present a case study and then the learners provide the general information about the case study. It is normally a time consuming strategy; however, it is probably one of the best method for reaching a deep level of understanding. To reduce the amount of time it takes, use some “leading questions,” which makes it a guided discovery learning method rather than strictly exploratory. This method works best with strategic knowledge, such as heuristics and systematic approaches to problem solving. 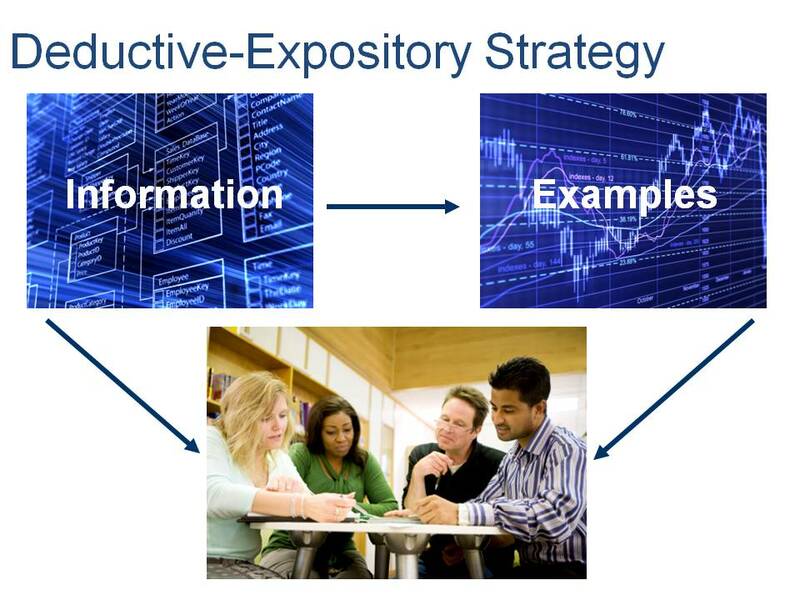 An inductive-expository strategy works by first presenting examples and then the information. And again, all the content is presented to the learners. For example you present a case study and then the information. 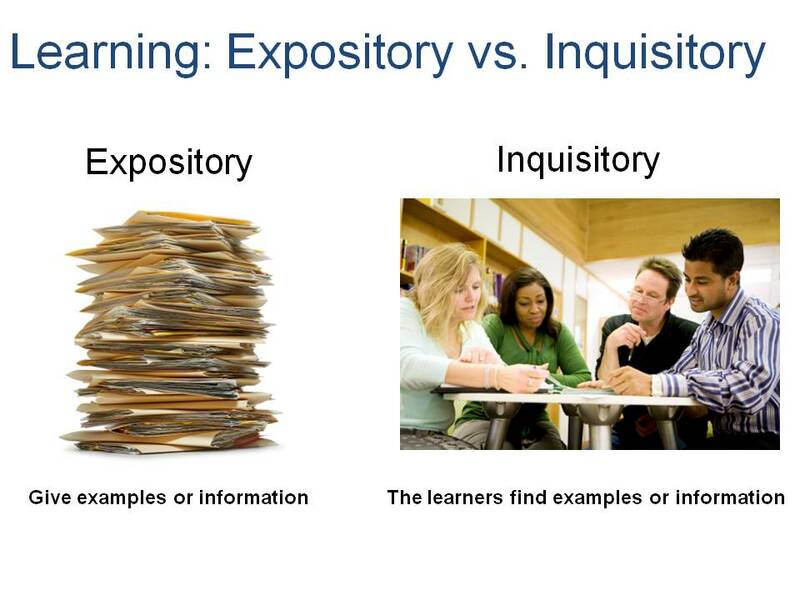 This method normally provides the learners with a deeper understanding than the deductive-expository method, but is not as good as the inductive-inquisitory method, thus it provides a middle-of-the-road method. This also works best for simple declarative knowledge, such as facts and simple concepts and models. 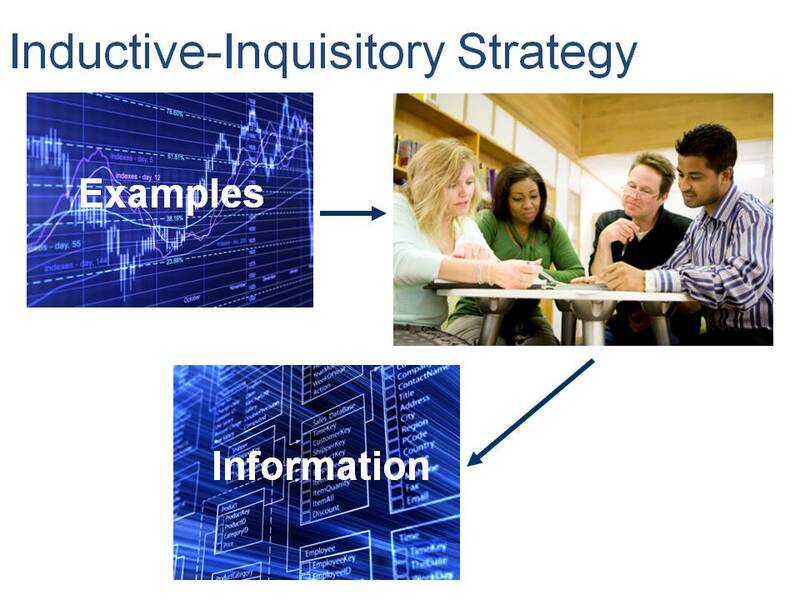 The deductive-inquisitory strategy works by presenting the information to the learners and then they produce some examples. For example, you present the information and then they come up with a case study or model. This strategy fits in with whole-task practice in complicated tasks that have many parts. That is, once the learners have used the other three methods for learning the parts of a task, use this method to bring the whole task together. This method also works best with strategic knowledge, such as heuristics and systematic approaches to problem solving. van Merriënboer, J. J. G. (1997). 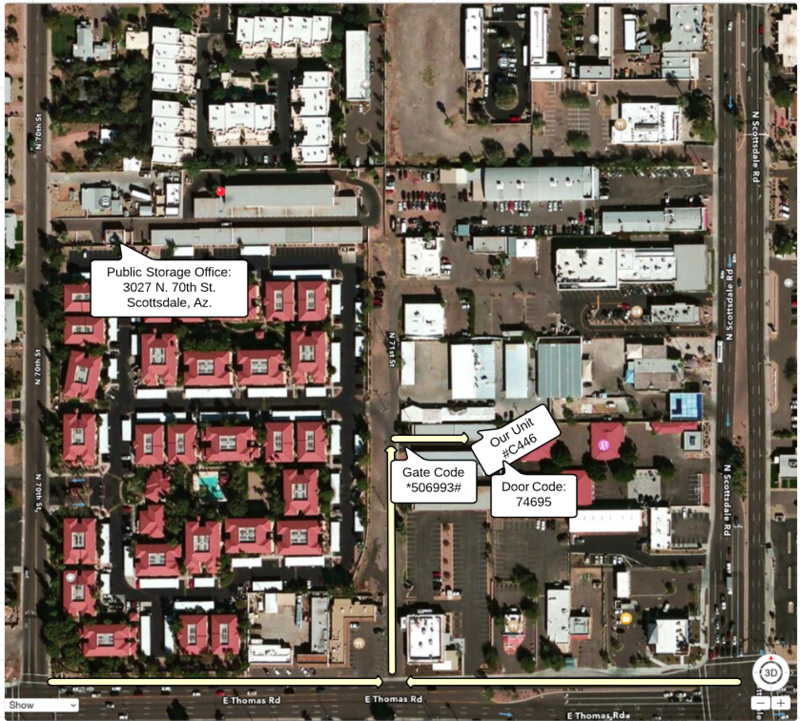 Training Complex Cognitive Skills: A Four-Component Instructional Design Model for Technical Training. Englewood Cliffs, New Jersey: Educational Technology Publications.